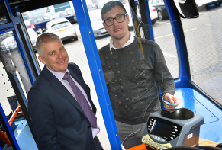 Stagecoach bus passengers in the north east of England can now pay for their travel using state-of-the-art contactless technology, it was announced today (21 December 2016). 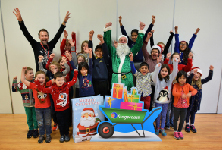 Stagecoach North East is delivering eco-friendly Christmas presents to pupils from schools across the north east as the winners of its Green Santa Schools competition. 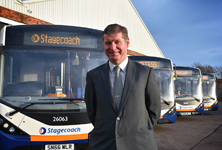 Stagecoach North East has continued its investment in the region and delivered a further boost to its Newcastle fleet with an additional 18 brand new buses now in service across the city. 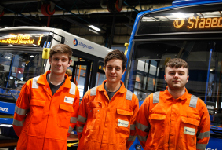 Three young people from the north east are now looking forward to a career in engineering thanks to an apprenticeship scheme operated by Stagecoach North East. 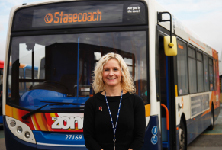 A graduate from Manchester is now getting to grips with the running of a bus depot as she takes on the role of Assistant Operations Manager with local bus operator, Stagecoach North East.